Si descargo esta galeria así como se ve, sólo baja las mimiaturas, no se como y donde pegar para descargar todas las imagenes de esta galeria a su tamaño natural, y con cual de los plugins que me habéis dicho es el adecuado. Down them all does NOT download from someimage.com's galleries. 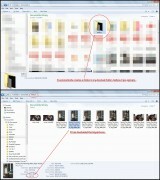 I use IHG (Image Host Grabber) for that which will 95% percent of the time download from someimage.com. I willmake a post now how to use IHG (Image Host Grabber) with screencaps. "Set the controls for the heart of the Sun." Thank you. I have it installed plugin and is also not as comfigurar for download from the hosting that I have put before you. Here are screencaps for using Image Host Grabber.